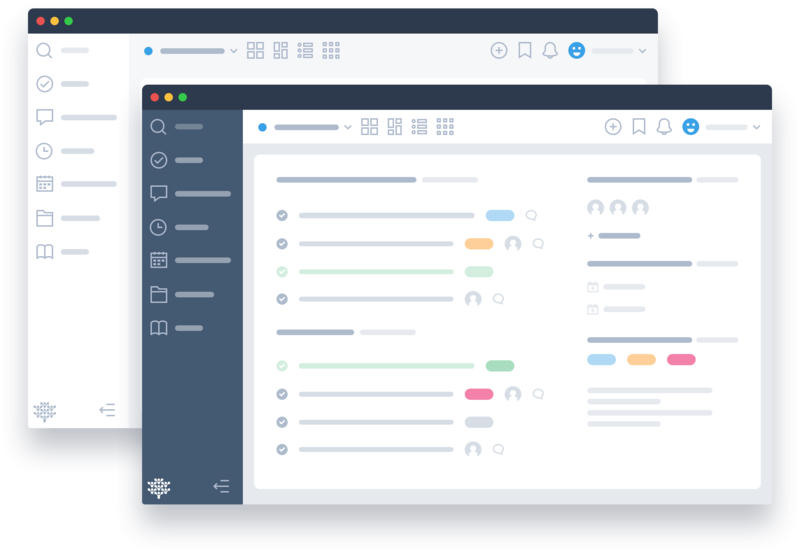 Your Favorite Project Management System just got better! Introducing our latest update codenamed Independence. Packed with dozens of user experience improvements, a gorgeous new interface, and some powerful new features. It's our biggest visual change to date. It took months of planning and development, after which we spent weeks fine-tuning to get it just right. We ended up with a work of art providing a visually unified product. No corners were cut, you will find new custom iconography, speed improvements and animations which make everything smoother and more responsive to your touch. We've gone one step further - completely rewriting our front-end to enable color customization. With this redesign we have a new theme called Freedcamp Modern Dark, but pretty soon you'll be able to switch to a lighter alternative, or even choose colors and create your own! We set out to make the smoothest possible switching between projects and apps, we iterated over and over until we got it perfect. Click Ctrl + G to open the picker, then just start typing and using the arrow keys to go into a project and even an application in seconds. We have made it easier to sort your projects. Choose between Alphabetical or user-defined order. Reorganize your projects by altering their order. A handy shortcut to open project management and edit roles, invite team members or archive unused projects. New feature: eliminate the annoying scrolling on large project lists until you find the one you've been looking for. Quickly navigate through your projects by using up and down keys. Quickly navigate through your project's applications by using left and right arrow keys. Explore possible shortcuts and learn what CMD/CTRL+G does. 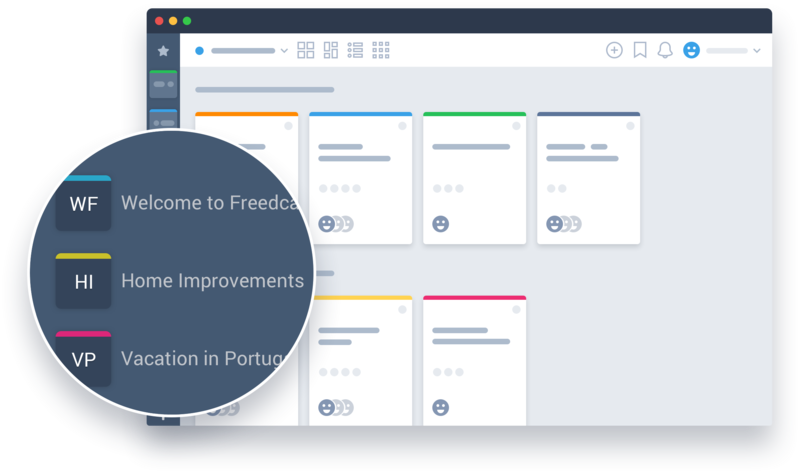 Many never knew about the powerful dashboards Freedcamp offers, now they are all conveniently located next to the project picker, always accessible when needed. Quickly access all your projects. 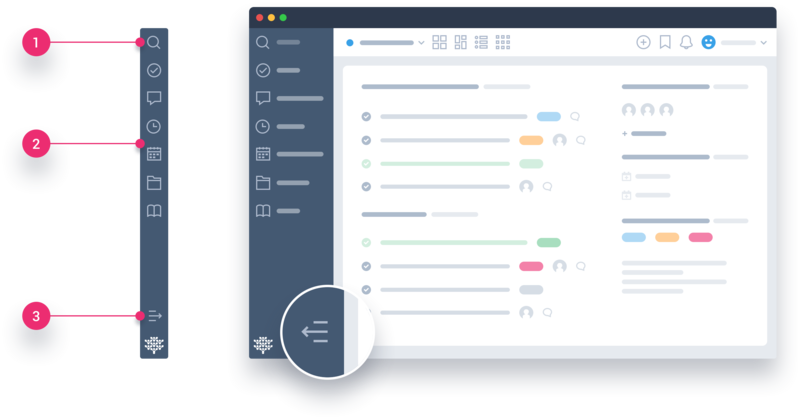 Switch between global boards to get an overview of your projects. A convenient place for your bookmarked links and notifications. Quickly add items, track time, and more here. Your personal menu which gives access to your profile, management, help, logging out, and more. A brand new sidebar that adapts to your needs. Giving you access to your favorite projects or project applications depending on where you are. Once you know what's in the sidebar you can collapse it and optimize your space. Give your tasks more space to shine! Quickly find anything within your project. Available project and group applications conveniently will be aligned on the left side of the browser. Need more space? Toggle expand and collapse state for your sidebar to give more room for content. 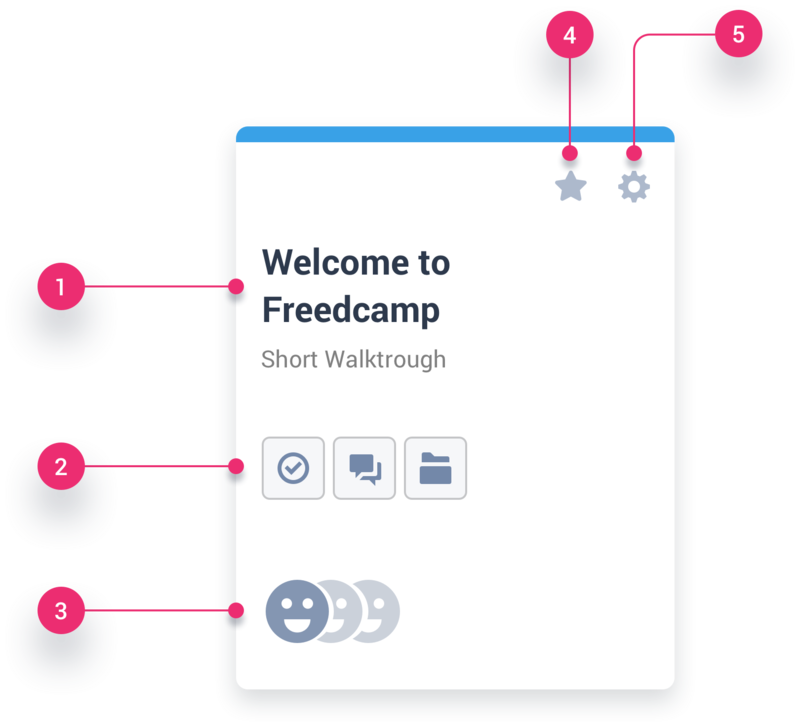 While on the Dashboard or any of the other boards, Freedcamp Sidebar will show you your favourite projects. Projects are at the center of your organization. 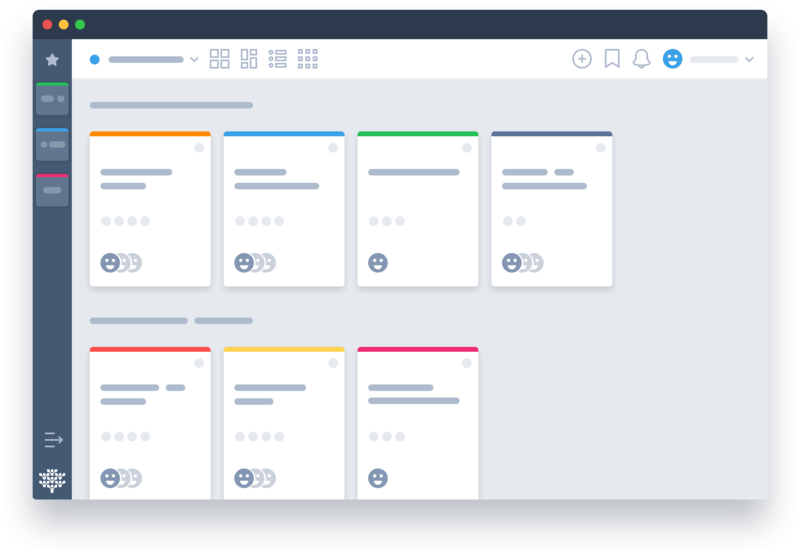 While projects can be grouped into Project Groups, the project card is the gateway to your tasks, files, calendar events, and more. 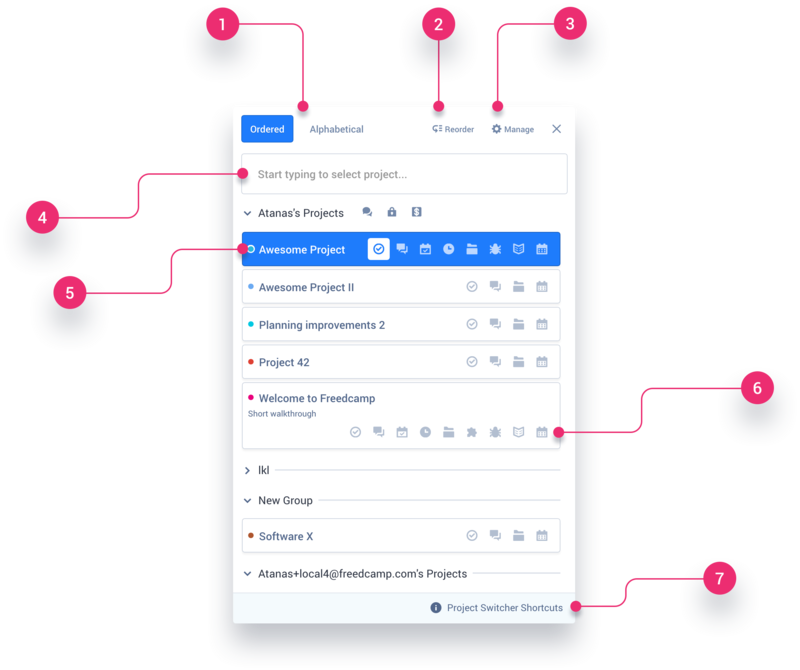 Clicking anywhere on your project card will take you to the Tasks application. All project applications are lined up under the title of your project. See your whole team in one place. To access projects quickly you can add them to your Favorites. Everything you can do with a project is tucked away behind this little cog icon! Don't miss it. We've put a lot of love in this update and we really hope you'll love it too!